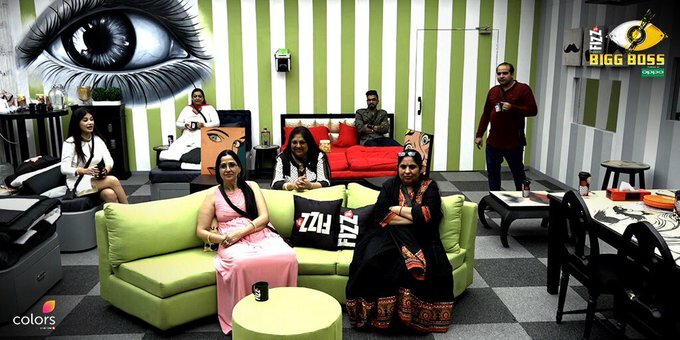 As the house has become more and more isolated, the show has started to implement new tasks and other ways to keep the Gharwalas and the audiences entertained. So, it isn’t entirely shocking that the Bigg Boss would call the relatives and friends of the contestants in the house to keep everything going on. When the episode begins, Puneesh is seen talking about how much he misses his girlfriend Bandgi. It is not much later that we also see Luv and Priyank getting worried about their position in the house. Sometime later, the relatives of the contestants begin to come inside the neighbouring house. Bandgi, Hina’s boyfriend, Priyank’s boyfriend and others come in the adjacent house. They are there tlfor the weekly luxury task and will judge the contestants. The first task is to make food for the relatives. The first task is won by Shilpa, because every relative thinks that she made the most delicious food. Next to her his Vikas. Then the next task is in which the contestants have to make the relatives laugh. The task is won by Hina because of great mimicry of other contestants. As the task ends, the relatives begin to talk with each other, and Vikas’s mother says that she doesn’t like how sometimes Shilpa talks about her son. At the end of the episode, Puneesh and Shilpa are seen making fun of Priyank and his style.